Understand what is needed to arrange and manage a successful EVENT. Learn the fundamentals on managing events with our short course. Using a self paced, interactive study guide; you can take as much or little time as you wish to complete this course. The Managing Events short course helps students understand the components of an event and what is required to plan and in order to deliver a successful event. This self-directed learning program will lead you though what you will need to know in order to arrange a successful event, whether the event is for a private function or a public event. Once you have completed this short course, you will be in a great position to start organising events or even continue onto further studies. 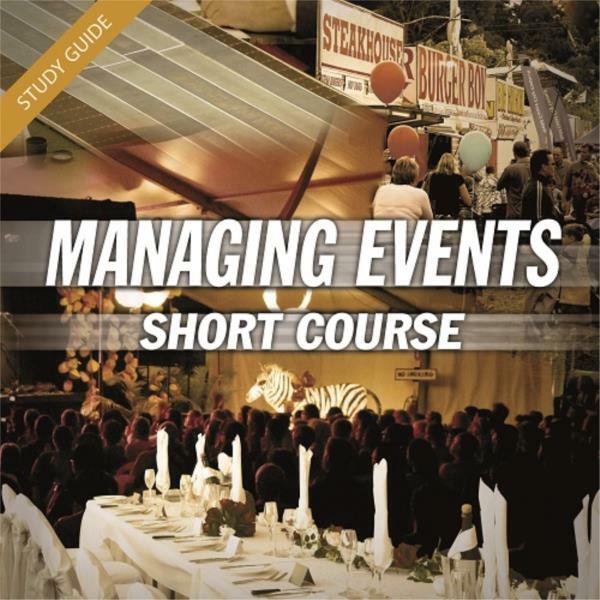 Some topics covered in the Managing Events short course include understanding the types of events and what goes into arranging each (includes parties, conferences and exhibitions) what kind resources should be considered for an event, managing clients, promotion, risk management and finally working in the event industry. At the end of each lesson, you will be given a short interactive test to undertake, which will provide an indication of how your learning is progressing. Upon completing the very last lesson, you will be offered a more thorough automated test or examination. This final assessment can be undertaken at any time of day or night; and any day of the week; and if you achieve an overall pass; you will be able to obtain a "certificate of completion"